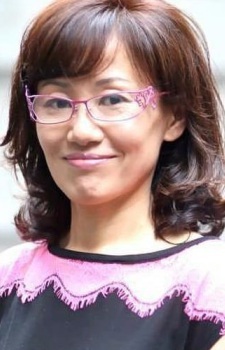 Naoko Takeuchi is a manga artist who lives in Tokyo, Japan. Takeuchi's works are widely admired by anime/manga fans. She is a well-known mangaka in the United States. Her most popular work, Sailor Moon, has been widely reprinted and marketed in North America. She also wrote the lyrics for a number of songs featured in the Bishoujo Senshi Sailor Moon anime and live-action series. They are mainly character-based image songs, but do include a few theme songs. She has won several awards including the 2nd Nakayoshi Comic Prize for Newcomers, for “Yume ja Nai no Ne,” in 1985. She also won for "Love Call" which won Nakayoshi's New Artist award which debuted in the Nakayoshi Deluxe September 1986 issue. In 1993 she won the 17th Kodansha Manga Award for shoujo for Sailor Moon. She is also married to the author of Hunter x Hunter and Yu Yu Hakusho, Togashi Yoshihiro. There’s no device more perfect for taking your gaming on the go than the smartphone. Mobile has become the number one hub for games you can just pick up and play. For anime fans looking to get their fix, here are 10 anime mobile games for the iOS and Android. Who are the manga artists that have brought a different level of attention, a different mindset, and a different spin on the genres that have existed since the early days of manga? Well, here's a list of manga artists who stand as one of the best. I hope she's doing well. Sailor Moon is really good. Honestly Sailor Moon was a masterpiece, how good it was still stands today. Will we ever get a Sailor Moon x YuYu cross over? Pleassssee. The Cherry Project is one big NO. One of my favorite mangaka/manga artist.